Write because you want to, not because you have to. 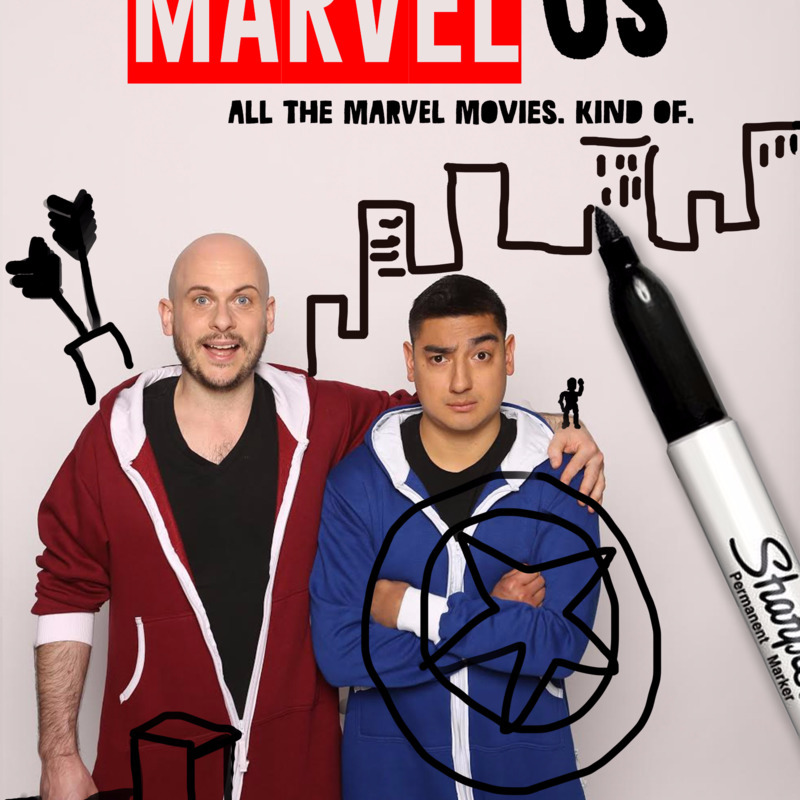 After successfully delivering their show at the Edinburgh Fringe Festival, Gary Tro and Javier Jarquin from The Just Us League brought one of the best Marvel-inspired shows to the Adelaide Fringe this year! Set up as a sketch comedy show in the popular Speakeasy Tent at Gluttony, MarvelUS: All The Marvel Movies. Kind Of. takes the audience on the ride of our lives for a solid hour, where we were treated to some of the well-known and well-loved characters from the Marvel universe. Donning trendy red and blue onesies, the two men kept us entertained and engaged on their quest to pay homage to some iconic moments from the Marvel series and while it may sound close to impossible to be able to fit ALL the fantastic and hilarious moments, the guys did a pretty darn good job at delivering quality content that left us in the audience wanting more, even after the show was over. It's no secret that both Gary and Javier were die-hard fans and Marvel fanboys, which was eloquently and perfectly presented through the content that they had set for the show. Think of all the superheroes, villains, and memorable stunts portrayed with poise and expertise. Bring in my other love - Disney - into the mix and the level of the show tips way over the happiness meter! You don't have to be a comic book 'nerd' or an expert to be able to have fun in this show (although it is a bonus). Gary and Javier will make you feel welcome, despite your novice knowledge in all things Marvel. While not being huge into the Marvel universe (definitely more of the DC universe kind of gal), I found the show to be pleasing, interesting, and bucket loads of fun! Sure, there were a couple of references that went way over my head, but this didn't hinder in the way of enjoying the show. There was also so much about the Marvel universe that I didn't know prior to the show, so it was almost like learning about these 'new' elements, characters, and storylines that have me reaching more towards the Marvel comics and find some new stories to froth over! The level of energy perfectly complements the ambience and theme of the show and by the end of it, you'll wish the show kept going. There is one more show left TONIGHT at Gluttony as part of Adelaide Fringe so either book your tickets here or head to the Box Office to treat yourself to one seriously feel-good show that might just have enough power to make you enter the MarvelUS universe and not look back with any regrets whatsoever! Why? Comic book lovers (particularly from the Marvel universe) will get a real kick out of this! Where are Ghost Signs in South Australia?